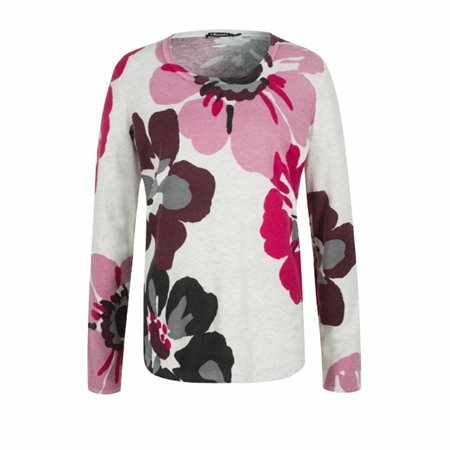 This sweater provides colour on grey, cool days: thanks to its large placement print with stylized flowers in harmonious colours, this sweater becomes a fashion highlight. Cut in the straight Olsen fit Henny and made of a soft viscose blend, it can easily be integrated into the wardrobe. A pleasant, slightly wider boat neckline with an open, rolled edge gives the sweater both comfort and sportiness.